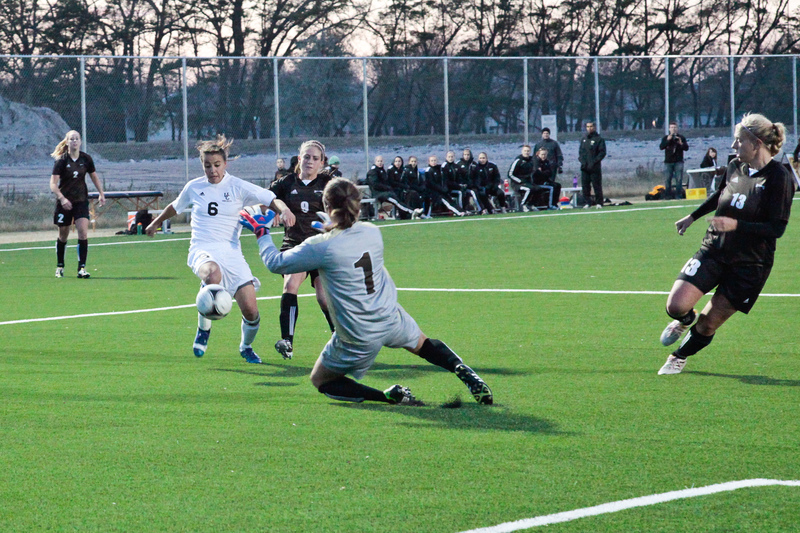 It was an action-packed weekend of soccer on the University of Manitoba Turf Fields West as the Bison women fought with all they had to ensure they stayed in the running for a playoff spot in their last home games of the regular season, winning back-to-back games on Friday and Saturday night. First, the Bisons faced off against University of Lethbridge Pronghorns. The Bisons knew that they had to get some points out of the game if they were going to have any chance at the playoffs, but after a six-game losing streak with only one goal scored, poor results had become the norm mid-season. 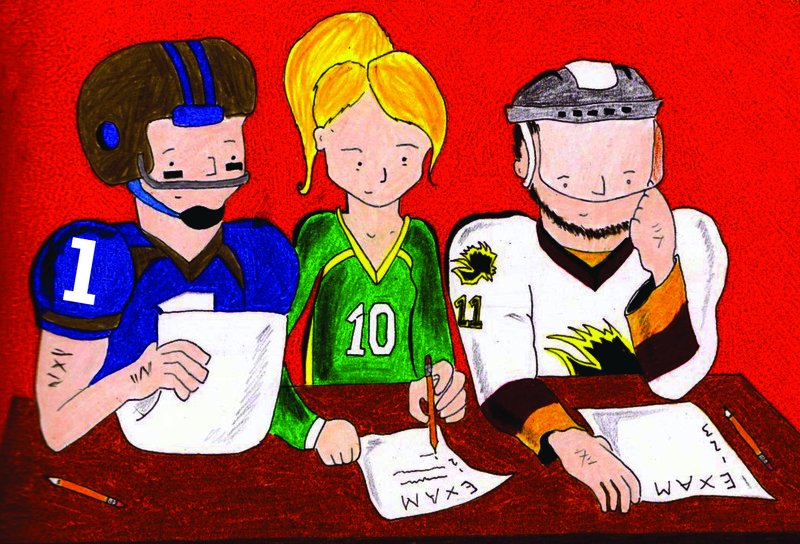 However, Manitoba did have a series of incredibly tough matchups. The combined record of the six teams they lost to is 31-7-2. By comparison, Manitonba’s last four games of the season are against opponents with records much more similar to their own. Against the Pronghorns, the Bisons rallied and came away with five goals and three points in the standings. Head coach Hayden Sloane-Seale was very pleased with the performance by the team in the Lethbridge game. The final score against Lethbridge was 5-0 for the Bisons. A great result again, the Bisons only increased the pressure going into a do-or-die game against the Calgary Dinos, who sat directly above Manitoba in the eighth and final playoff spot. Even in the opening minutes of the first half, the Bisons looked hungry for a win. They created a series of goal-scoring opportunities through organized short passes up the field, but were unable to find the back of the net until the 35’ of the first half. After a great run to beat out the defender, impressive first-year striker Daniella Scerbo chipped the ball just past the reach of the Calgary keeper and across the goal line. The Bisons managed to hold onto the 1-0 lead for the rest of the match. The only goal-scorer of the game, Scerbo noted that the Bison women knew this one was pivotal in their road to the post season. Although there was no scoring in the second half there was definitely no shortage of excitement as Manitoba and Calgary exchanged threatening free kicks right outside the crease. There were also a number of yellow cards handed out as the Dinos ran out of time to find the equalizer. In the end, Calgary received two yellow cards to Manitoba’s one. “We knew we had to beat Calgary. This was a must-win for us. If it had gone differently, or if Calgary had gotten a tie even we would have really been up against it, and we’re still up against it. There’s nothing safe now,” said Sloane-Seale. 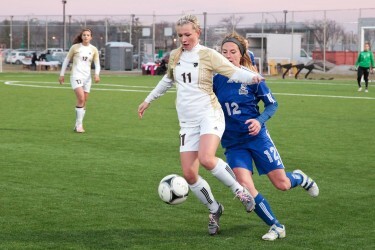 Despite a great weekend for the Bisons women’s soccer team, nothing is guaranteed yet. The Bisons will have to continue this momentum into the last week of the regular season if they want to continue on into the playoffs. The Bisons play back-to-back games against Mount Royal and Alberta in Alberta on Oct. 20 and 21.